3:12 PMIn Friday’s edition of Locker Room Lawyer, Clinton Yates and Domonique Foxworth take the case of Los Angeles Rams Philadelphia Eagles wide receiver Deon Long to The Undefeated courtroom. On Tuesday’s season premiere of HBO’s Hard Knocks: Training Camp with the Los Angeles Rams, everyone (well, those who have HBO) saw the wide receiver get cut from the Rams by head coach Jeff Fisher for committing a violation of team rules: having a woman in his dorm room at training camp. Long is a second-year player out of the University of Maryland. Domonique also attended Maryland before he was drafted to the NFL in 2005. So Deon, that means representation from the Locker Room Lawyer FOR FREE *Drake voice*. 2:00 PMI went all the way to Philadelphia and back Thursday night to see the homey DJ Trayze at the Red Bull Thre3style USA DJ Championships. I got back at 5 a.m., but whatever: He won. Good times in Pennsylvania. THERE’S A NEW STAR WARS TRAILER OUT. I scream that because I care deeply about said series, always have, always will, idc idc. The first Rogue One teaser was just an indication of what we might actually be in for. The second one, released Thursday night, actually has some storyline to it beyond the initial concept. Also, there is an absolutely great hyperdrive hit that I cannot wait to see on the big screen. Just, here, take my money. Donald Trump is flailing desperately. Which means that Hillary Clinton, provided nothing completely catastrophic goes down, has the clearest path to the presidency at this point. We’ve talked about polls here before, and how they can be so misleading, yet accurate — but let’s be serious. It’s all Hillary Rodham Clinton at this point. Once again, FiveThirtyEight’s Harry Enten breaks down how she could win this thing, even without Florida and Ohio. LeBron James just did the Cleveland Cavaliers a favor. After bringing a championship to Cleveland for the first time in a lifetime, he signed a deal that at $100 million is beyond undervalue on so many levels. For the life of me, I cannot understand this. After all the crap that Cavs owner Dan Gilbert and the fans in Cleveland gave him, he could have easily just said, ‘I’m not playing any basketball game in Quicken Loans Arena for less than a million bucks ever again.’ He’s better than me. Coffee Break: There are people in the world who believe that the movie Scarface is too good for a remake. 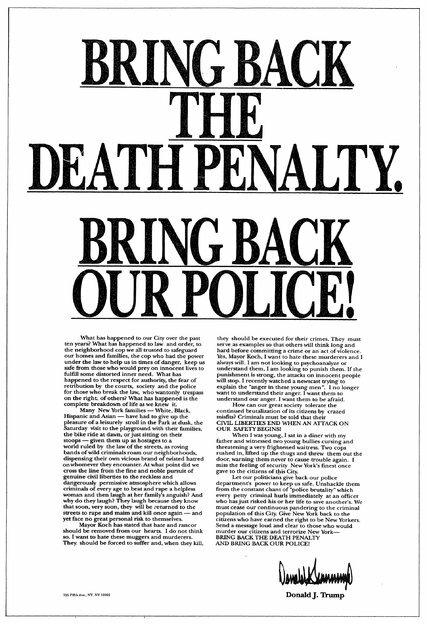 First, the ’80s version already is a remake, so there’s that. Also, that character is basically a superhero, so redoing the flick makes complete sense. Snack Time: You know by now that Simone Manuel made history Thursday night, but if you were watching on NBC it took you an hour to see her get the full glory. You can check it out here. Dessert: NBA free agent Martell Webster has a new EP out. Check him out. Dude can rhyme. We’re gonna need a course correction, son! 11:27 AMOnly one thing could pull me away from watching Miss Simone Biles on Thursday night capture the gold medal in the women’s gymnastics individual all-around competition in Rio de Janeiro. That would be the appearance in these Twitter streets of a high-profile fashion crime. Thursday’s unfortunate victim: Cameron Jerrell Newton. As we have seen time and again, the Carolina Panthers quarterback often looks pretty damn amazing. But he’s also been known to make very questionable clothing decisions. Cam, would you please stop playing with my fashion writer emotions and focus? Honestly, this particular outfit had me feeling concerned. Thursday night was the NFL preseason opener, and the Panthers traveled to hot-and-sweaty Charm City to match up against the Baltimore Ravens. Should have been an easy game for the Panthers, who are the NFC defending champions. Newton, lest we forget, is still the league’s legit reigning MVP. 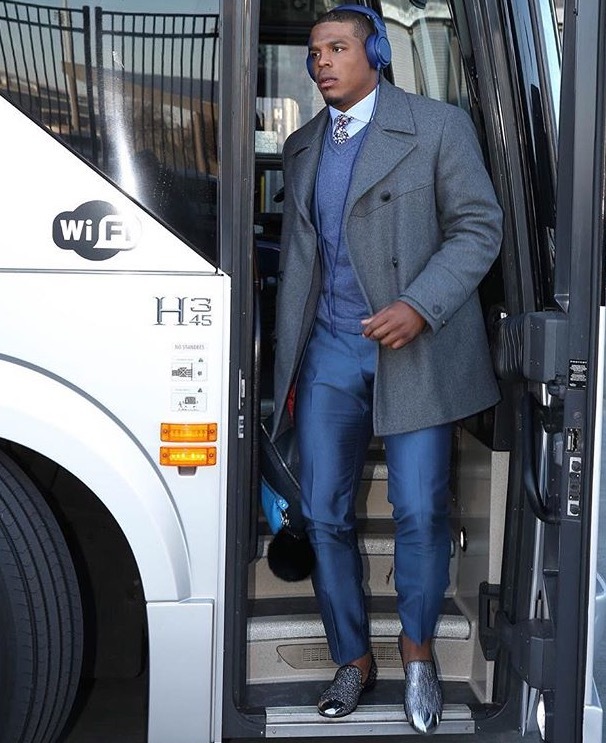 And yet, here he is coming off the team bus looking like he’s going to sleepaway theater camp in the Canadian Rockies. Newton has sworn off dabbing, and (we think) rapper/producer Pharrell has finally sworn off that hat, so let’s call it even. Wait. Dude, are those Capezios? When is tight Superman shirt-wearing Cam or tight Versace pants-wearing Cam going to make a triumphant return? Until that happens, we’ll just have to reminisce on this and this. Fashion prayers going up!